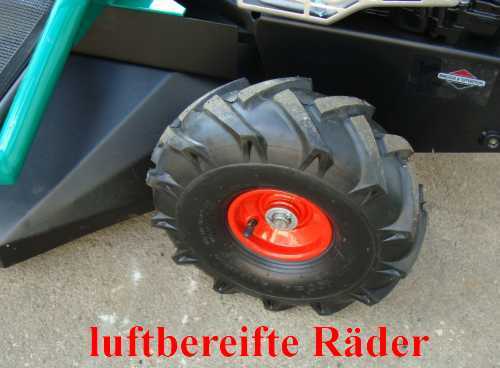 1.490,00 EUR 19 % VAT incl. 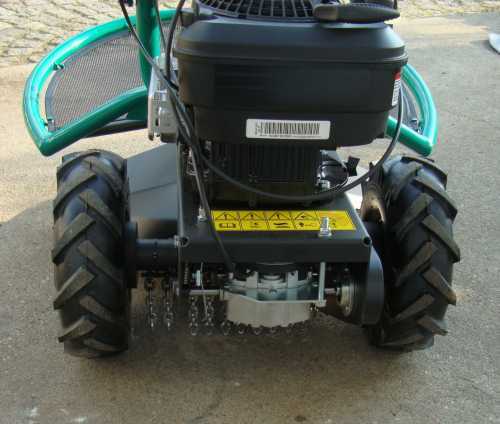 This rotary mower is powered by a 5.5 PS Briggs & Stratton engine. The B62 has a stepless Vario transmission. 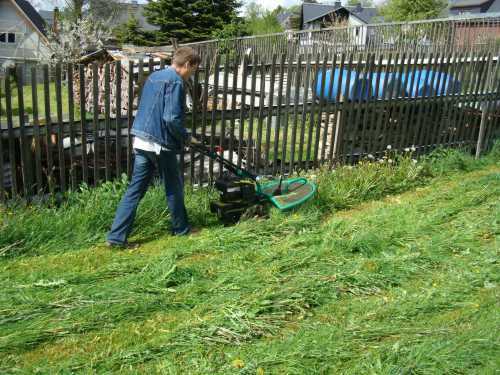 Depending on the grass size and the grass density, you can choose the speed of the stepless steplessly. This is a decisive advantage over fellow-workers who have the manual gearboxes. 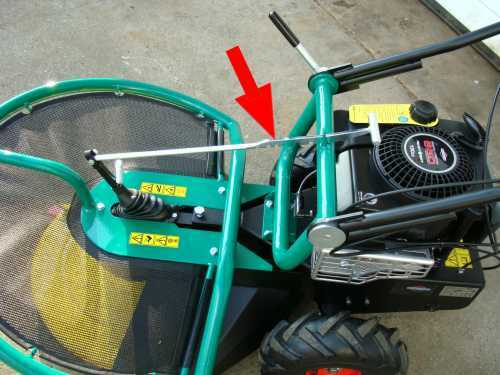 You can pull it back easily without the gear moves with it. Furthermore, the B62 has a full freewheel - ie you can turn it on the spot around its own axis, without any resistance. The working width is 62 cm. 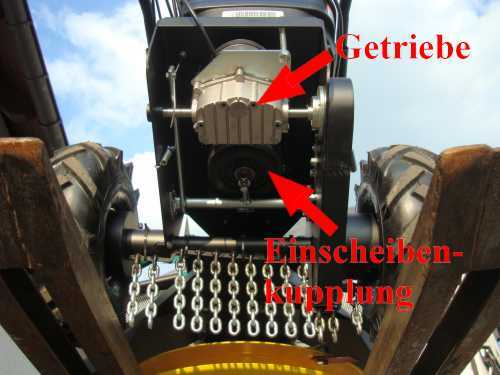 The 3 knives are mounted on a thick steel plate by strong M10 bolts. 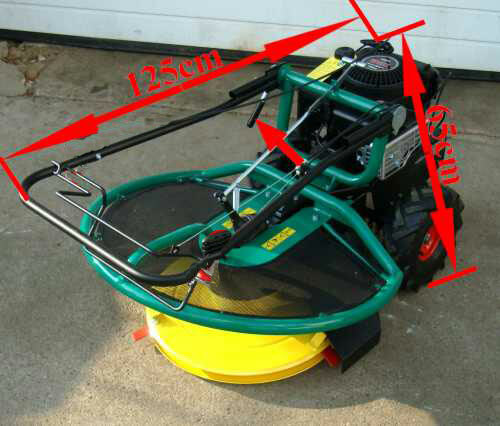 The rotary mower blade is 80 mm long, 35 mm wide and 3 mm thick. adjustment of the handle for each user. 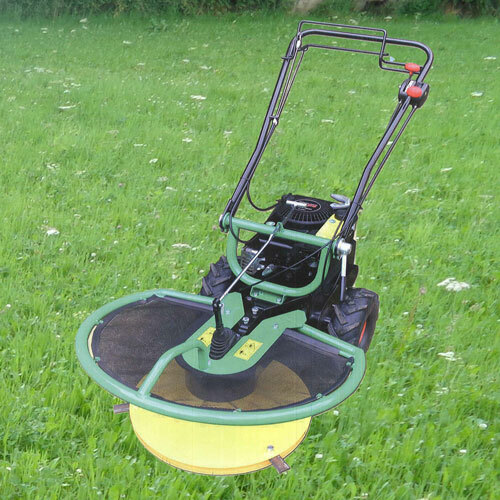 This technical solution is very expensive but also very durable, ie the V-belt to the mower disc is always clamped and is switched via the clutch. 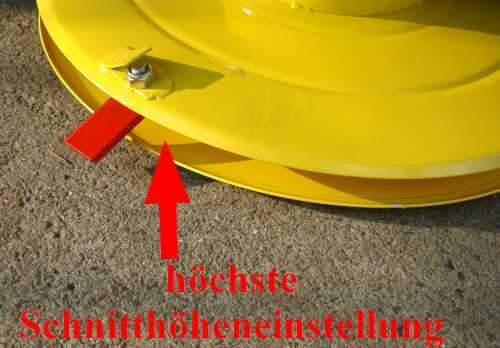 The V-belt to drive the vehicle is also always clamped. The drive is realized through the engagement and disengagement of the transmission. Elaborate technology - but this ensure few belt wear! 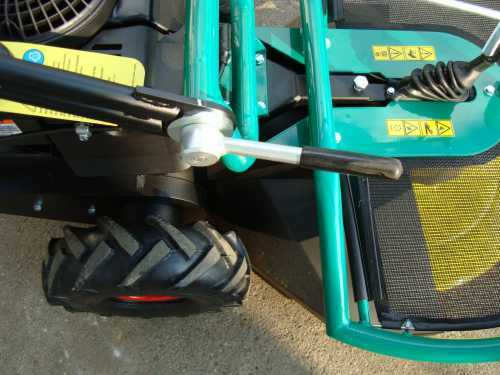 This device is a good alternative to the bar mower because it is easier, more durable and highlights with a very good cut quality. 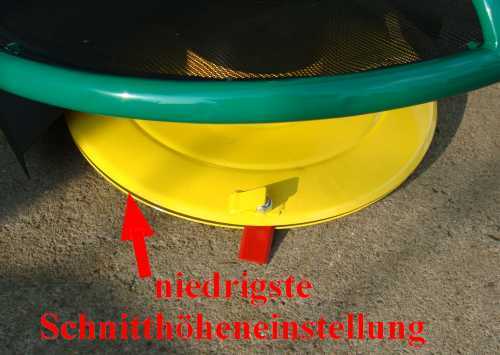 The knife blades are mounted on a solid holder, so there may be contact with rocks and other obstacles without bending or other deformation. 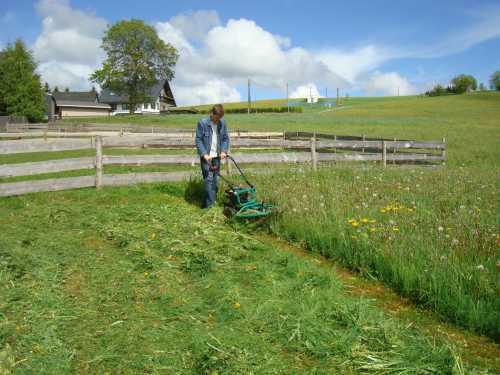 Why a rotary mower instead of a bar mower? Take a look to agriculture. Cutter bars were used on tractors 1950 yet. They have been replaced by rotary mowers. 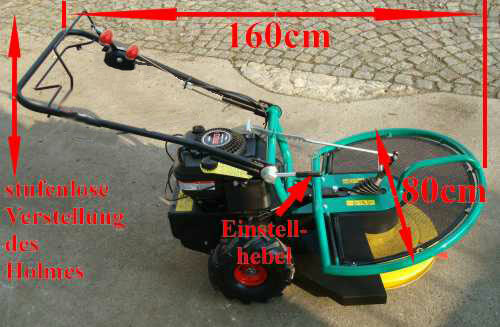 Low vibration on the handlebar, longer life, faster blade changes, faster sharpening of knives are the main advantages of the rotary mower. The blades fold away at obstacles. Use the technique that has been successfully used for decades in agriculture. 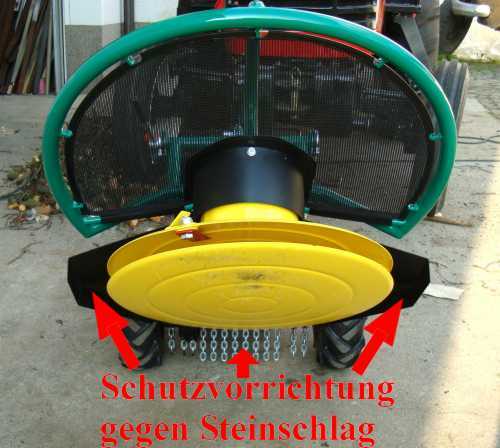 • Rotary blades are mounted on an extra strong holder - not on the rotating metal disk. By means of this lever the cutting height is adjustable 6x.